The Epicenter was launched through a partnership of Monterey County Child Welfare Services and VOICES (Voice Our Independent Choices for Emancipation Support). VOICES is the first youth-designed and youth-led program in the nation for transition-age foster youth. After successfully replicating its program in Sonoma and Santa Clara Counties, VOICES was invited by Monterey County Child Welfare Services in 2013 to launch a VOICES-like program in Salinas. 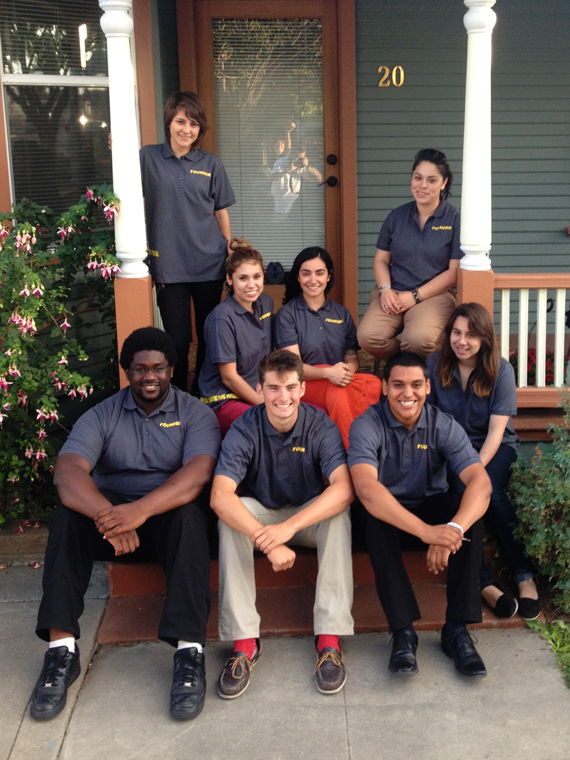 Beginning in January 2013, VOICES engaged Monterey County youth and adult leaders in a planning process to address the needs of current and former foster youth. Throughout the process, youth reported that the lack of a centralized, youth-oriented location makes it difficult to learn about opportunities and to access resources. Again and again, youth expressed the desire for a place with no closed doors: where they don’t have to “qualify” for services because of their demographics or circumstances. Most importantly, they emphasized the need for a new Center to be positively oriented towards wellness and connection, not negatively oriented towards overcoming Monterey’s gang problem. The planning process included a comprehensive assessment of community readiness, the development of a team of nine youth-founders, and the creation of a highly effective Steering Committee, made up of leaders from Hartnell College and five County departments, including Mental Health, Child Welfare, Probation, Public Health and Health and Human Services. The Epicenter officially launched on September 4, 2014 with a Grand Opening attended by over 200 people. Among those attending were local elected officials, including but not limited to Monterey County Superintendent of Schools Nancy Kotowski & Supervisor Jane Parker, as well as local media representatives who highlighted the Epicenter on both radio and television news broadcasts.